“Proper upholstery cleaning can ensure a healthy environment indoors.” Health and upholstery – Many of our clients wonder what the connection between these two terms is. Well, your home is where you spend most of the time eating, sleeping, gossiping, playing, relaxing and entertaining guests. While you might perform cleaning quite often, the unseen guests continue to live in the fibres of your upholstery, spreading diseases and contaminating the air. Carpet Cleaning for Perth, being one of the industry leaders, applies special cleaning techniques to identify these hidden guests and restore the condition of your upholstery. Now, to understand how unclean upholstery can cause health issue, have a look at who’s exactly living in the fibres. Let’s take some of these microscopic creatures. In case of spills on the upholstery, no matter how desperately you try to remove it, some amount of liquid is absorbed by the fibres. And this is where moulds can breed and spread rapidly. Weak immune system and more. Our trained team would use deep clean method with professional equipment to remove these organisms from the layers of your upholstery fibres. From those unclean spills, harmful bacteria can grow on your upholstery and keep multiplying. This happens more as people sit there and sweat; the dampness is excellent for bacterial growth. Upholstery cleaning is hence a major necessity. The faeces of these creatures have a protein compound which is unhealthy for human beings. It can cause irritation in the skin, lungs and even the mucous membrane. Furthermore, these allergens and dust mites contaminate the air causing serious respiratory problems. All these further lead to issues like allergies, eczema, asthma, COPD, etc. Everything Calls for Professional Upholstery Cleaning! As reputed cleaners in Australia, we have now expanded our services at Wattleup WA 6166. Our cleaning packages also include sanitising and deodorising to ensure removal of these creatures in entirety. This method also cleanses the air quality indoors. We are renowned in this suburb for offering customised methods of cleaning to retain the quality of fabric, without causing it further damage. Leather demands for proper wiping with specific cleaning lotion. Once done, we use leather conditioner as well to correct the creases and remove dirt completely. In return, you get shiny, smooth and elastic leather upholstery. Now, this category includes different fabrics – cotton, linen, wool, velvet or silk. For these fabrics, we use mild water-based products and steam cleaning method. It is important to consider the amount of the solutions as too much of it might create water rings on the fabric. A lot of residences in Wattleup WA 6166 use microfiber upholstery. This demands extremely delicate cleaning technique that only our professionals can perform. So, this is how methods of cleaning vary. 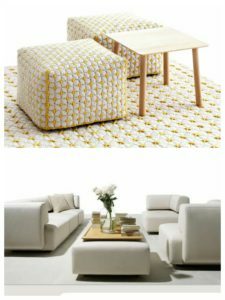 Hence, to ensure good health of the members of your family, hire our professionals at Wattleup WA 6166 for a thorough cleaning of your upholstery. 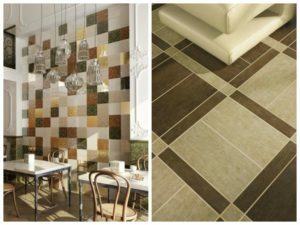 Tile and Grout Cleaning: Few Factors and How We Can Help! If you have tiles in your house, be it on the floors or the walls, you are probably always worried about tile and grout cleaning. While grouts get dirty quite rapidly, it’s really a hassle to clean these tiles and grout lines. So, what are you supposed to do? Wait till the germs spread and affect your healthy lifestyle? Certainly not! Call our professionals at Carpet Cleaning for Perth and avail the top quality cleaning service at Wattleup. If you think of DIY methods, the truth is: regular dusting and mopping are not enough to remove all the dirt and grime (especially when you are in Wattleup WA 6166). Surprised? Guess how? After mopping a certain area with water and cleaning solution, you need to re-soak the mop to clean again. Think now: you are actually polluting the fresh water in the bucket and spreading it once again on the floor. This might give a clean looking floor but cannot remove the dirt or germs from the tile and grout entirely. Grouts being porous surfaces trap dirt below its surface and continue to build up. Regular mopping is unable to reach such areas. This, if ignored, further leads to the growth of germs, bacteria, moulds, etc. It is important to seal the grouts after tile and grout cleaning so that you can prevent or rather reduce the amount of dirt accumulation for quite a long time. While you may use bleach in other places of your house, it’s harmful to your grout lines. To remove the stubborn stains, bleach actually weakens and causes wear and tear, ruining the shine of the tiles. How Can Carpet Cleaning for Perth Help? We have professionals who are trained and experienced in taking up this entire hassle for you. All of them are certified. Our team has access to different advanced machinery and equipment required for thorough cleaning. The cleaning solutions we use are non-toxic and harmless. At Wattleup WA 6166, your good health and safety are our concerns too. You can get customised service from us, catering to your specific requirements. We don’t just clean but also ensure the durability of the products. In Wattleup WA 6166, we have successfully offered our services to a number of households and commercial complexes. Client satisfaction has always remained our highest priority. To get the best service in this suburb, call us today. Like upholstery, tile and grout, we also have specialised in carpet cleaning services. We are happy to dispel the myth that carpets cannot be cleaning or only vacuuming is the method to remove dust from top layers of the carpets. If you are in Wattleup WA 6166, you surely have a carpet at your home, office or school. No matter wherever it is, or what material it is made of, our carpet cleaners have solutions for every cleaning issue. For maintenance to prevent wear and tear; ensure durability. For appearance of the product that directly affects the aesthetics of the surrounding. To ensure a healthy environment indoors. Carpet Cleaning for Perth team considers all these factors in their cleaning packages for an overall cleaning solution. 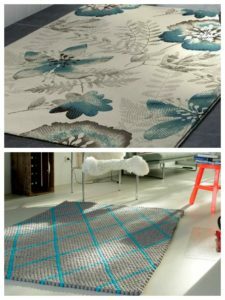 While we are adept in cleaning with different methods for different carpet fibres, certain maintenance tips are there you must follow. You should never rub the blot stains as that can break down the fibre. Always take off your shoes before stepping on the carpet. Make sure to train your pets properly. Avoid eating food, or drinking on or around the carpet. Never expose them to too much of sunlight and heat. Remember, all cleaning products are not effective for all types of damage or spills. While these are not the permanent solutions to prevent dirt accumulation or germ breeding, maintaining these factors can help reduce the same. Now, to remove the dirt from the deepest layers of your carpets, it is important to hire professionals like us. At Carpet Cleaning for Perth, we have the know-how of using proper techniques according to the necessity. We perform an initial assessment of the carpet to identify its present condition. According to that, we strategise the best method and cleaning products to be used. Our processes include deep vacuuming and stain removal techniques. Hot water extraction is another major method we apply. Once done, next we deodorise and sanitise the carpet, making it ready for your kids to roll on it. Be assured that we offer carpet cleaning till you are satisfied. With our service, you can get the following. Apart from all, ensure the life of your favourite carpet with our carpet cleaning service. As you are in Wattleup WA 6166, you should grab this excellent opportunity to call the industry leaders of cleaning. Yes! Your trust and reliance have made us one of the reputed names in this suburb. Well, besides these, we also offer house cleaning, spring cleaning, end of lease cleaning, emergency cleaning, office cleaning, real estate cleaning, and construction cleaning, for sale cleaning and a lot more. It’s better to discuss your requirements. Send us your query or call us directly to have a talk. Carpet Cleaning for Perth will get back to you at the earliest. We hate to keep our customers waiting! Excellent Carpet Cleaning Services in Wattleup WA 6166 – Carpet Cleaning for Perth – call us on 0424 470 460.